Railway services have come to a halt island-wide due to the ongoing strike of Railway trade unions based on wage disparities. Sri Lanka Transport Board (SLTB) stated that additional buses have been deployed considering the inconveniences experienced by commuters. According to the Chairman of SLTB Ramal Siriwardana, these additional buses have been put into service since last night (08). He added that over 100 additional buses will be deployed from the Central Bus Stand in Pettah at 3 pm today (09). Several railway trade unions including drivers and guards launched a strike without prior notice at 3 pm yesterday (08), protesting the failure to provide solutions to salary disparities in the railway service. This led to enraged commuters to protest in front of the Fort and Maradana railway stations causing a massive traffic block in the surrounding areas and minor damages to the train stations. Special Task Force (STF) and Army personnel were deployed to ensure the security and the SLTB and security forces launched a special bus service for the commuters. Some commuters were seen spending the night at railway stations due to lack of trains. However, when commuters arrived at railway stations this morning as per usual, train services were still down. 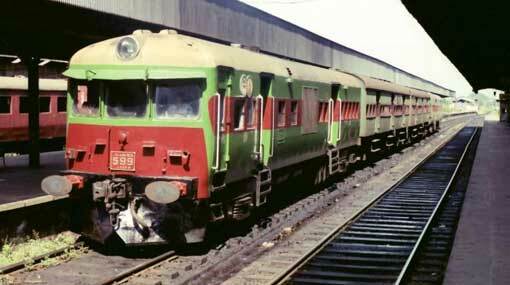 Tourists visiting the country were also subjected to inconveniences due the railway strike. SLTB stated that 6000 SLTB buses have been deployed for the inconvenienced public and for any issues or commuting need regarding the SLTB buses can be informed via the hotline 0117 555 555. To assist the students sitting for the G. C. E. Advanced Level examination today, a special bus service was conducted by the Army and railway season ticket holders can use them on SLTB buses as well, stated the Transport and Civil Aviation Deputy Minister Ashok Abeysinghe. Additionally, the Railways Department requested all retired engine drivers to report to work to get the railway services back in order. Meanwhile, the Railway trade unions declared that the strike will continue until the permanent solutions are provided for their issues. Railway trade unions supporting the government accuse that railway trade union issues have escalated due to political interference.